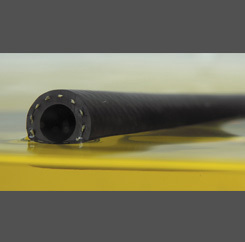 Ordinary fuel line hose is designed to handle fuel on the inside only. 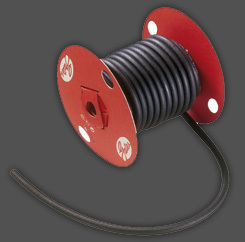 The Gates submersible fuel line hose exceeds the SAE 30R10 rating and is capable of handling gasoline, alcohol-extended gasoline or diesel fuel in fully immersed, stationary and marine applications. 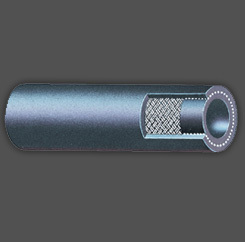 Fluoroelastomer tubed cover resists gas permeation and retards aging. Aramid fiber reinforcement – the same fiber used in bulletproof vests and is pound-for-pound stronger than steel.